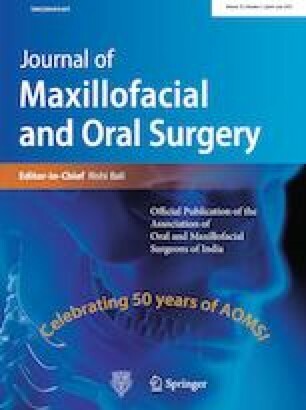 The purpose of this study was to suggest a protocol for the management of odontogenic space infections in patients with hemophilia which is often incompletely addressed by clinicians because of the fear of excessive bleeding leading to prolonged morbidity. Six diagnosed cases of hemophilia (four cases of hemophilia A and two cases of hemophilia B) with odontogenic fascial space infection were included in the study. Apart from routine investigations, assessments were also done to identify inhibitors to factor VIII/IX. Factor VIII/IX was replaced along with infusion of factor eight inhibitor bypass activity (FEIBA) one hour before incision and drainage. All the cases were treated by incision and drainage along with removal of foci under local anesthesia. The postoperative outcome was uneventful in all cases except one in which postoperative bleeding was noted from the extraction site on the third day which was again managed following the designed protocol. Maintaining good oral hygiene and seeking early dental care are of prime importance in patients with hemophilia to avoid invasive procedures. However, if odontogenic infection develops in these patients, performing timely incision and drainage using our protocol will minimize the complications and give successful outcome. Informed consents were obtained from all the patients.